The two appeared on Cincinnati Edition on WVXU where they discussed projects and possibilities across the city. The daily radio program, which airs at noon Monday through Friday on the NPR member station, is hosted by The River City News publisher Michael Monks. 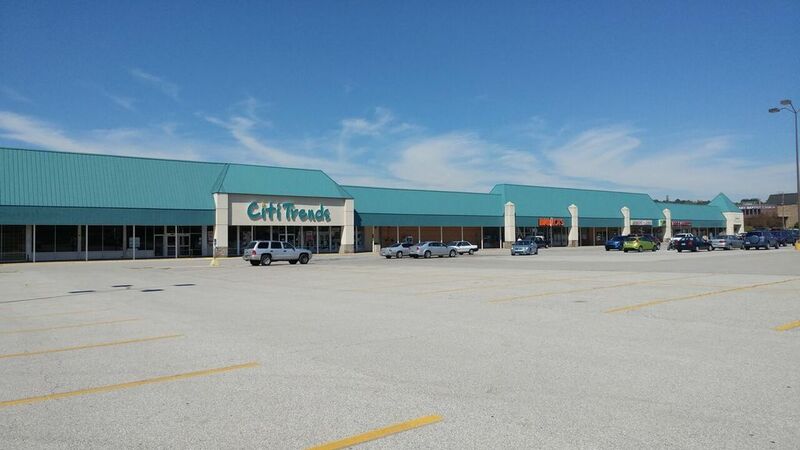 "We have visited them and we've talked with them on occasion," Meyer said of the Schottenstein Property Group, the Columbus, Oh.-based owner of Latonia Centre, Latonia Plaza I, and Latonia Plaza II. "They are perfectly open for working with us on a total redevelopment of that site, including complete demolition and reconstruction if the opportunity presents itself. "There are several interested parties we have connected with the Schottensteins in Columbus and it is actively on our radar for redevelopment." While Latonia Centre is anchored by a Kroger grocery store, the Latonia Plaza development along Winston Avenue is aged and largely vacant or underused. Its previous anchor, Value City Furniture, has been closed for years and the large building where furniture was once sold is empty. Burlington operates a location where Value City's traditional retail store once operated next to its furniture operation. The site has been talked about as a target for redevelopment for years and is a central piece of the Latonia Small Area Study, which was completed by the city and partners in 2011. In 2016, the city released a study that it commissioned through Buxton Consumer Analytics, which studied the buying habits of shoppers within a 15-minute drive of Winston Avenue, that suggested some big box retail could still be viable in that area. West, who joined the City Hall staff in late 2017, said large retailers are not part of the city's efforts for the site. "Retail has changed. Walmart rewrote retail into big box, and now Amazon has rewritten it to small boxes that get sent to your porch," West said. "We are not pursuing large retailers. We know that's not sustainable long-term." West added that there was a meeting this week with a potential user for some of the empty big box space at the Latonia site. "(It) would bring more jobs to that area and get one of those big boxes reactivated. It's not retail, I can tell you that," he said. Instead, the focus is on a mixed use "so that it's less of a strip mall, marginal at best, for part of it, and more of a place for employment." "It's a great site," Meyer said. "It's less than two miles from two separate interchanges from I-275, so it's incredibly accessible to the entire region." Listen to the entire segment from Cincinnati Edition here: WVXU.